WISE TEA GARDEN® Loose leaf teas have been scented and blended for centuries. In ancient China, tea artisans developed many different methods for creating floral and fruit blends to delight the senses. The Natural Flavours used in our teas are derived from the particular fruit or plant as specified in the name. They are all natural extracts, i.e. 100% all-natural pure flavouring oils with no chemical residue or aftertaste. All natural flavours, premium fruit and flower pieces are used in our flavoured black, green, oolong, white teas and rooibos. The base teas for the naturally flavoured black teas are all high mountain grown in central Sri Lanka's best estates. Jasmine scented tea has been produced in China from ancient times, and the method used to make it largely remained unchanged since then. The first Jasmine tea makers simply harvested the pale white blooms of the Jasmine bush and layered them with freshly plucked green tea during withering. As the tea dried, the scent of the flowers would permeate the leaves, leaving its mark in the form of a delicately sweet aroma. The addition of a fan to circulate hot air through the tea to speed up the process is the only update made these days. To obtain full-bodied, scented cup and golden liquor takes up to 4 hours and the scenting process can be repeated up to 7 times depending on conditions. Jasmine comes in many different grades. In our scented Jasmine teas, the particular grade is used, which is known in Fujian as Jasmine № 1. It is harvested during the month of May when conditions are moist and somewhat cool overnight. 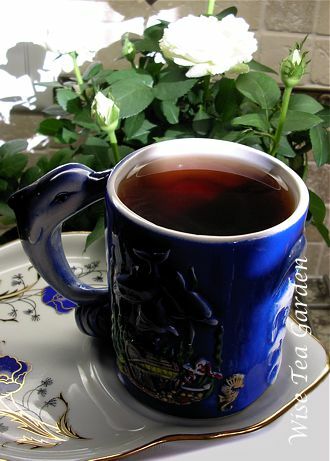 Usually, the dried flowers have been left in the tea to enhance the visual appeal. Milk and sugar are not recommended. Scented tea , also known in China as Huacha or Xunhuahca, is a mixture of tea leaves and fresh fragrance of sweet-smelling flowers like jasmine, gardenia, or yulan. The fragrance of the flowers are gradually absorbed by the tea leaves during the manufacturing process. No flavours added. Almost all kinds of tea can be scented with fragrant flowers, but scented green tea is the most popular.